Central Memorial High School (CMHS) is perfectly located for the National Sport Academy. 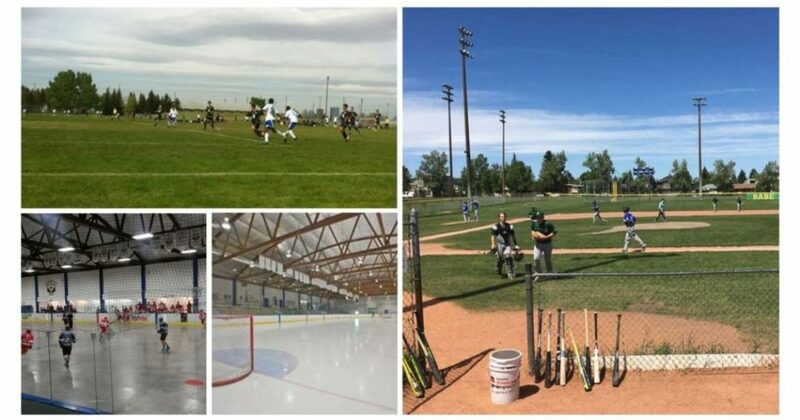 It is close to many athletic facilities required to train, including Glenmore Athletic Park – fields, arena – ice & dry pad, Sandy Beach – cross training, Mount Royal University facilities all of which are ideal facilities required for National Sport Academy training in baseball, hockey and lacrosse. In addition, CMHS is close to major transportation routes to allow for quick access to other training facilities required for winter training or for easier access to the CMHS from around Calgary. Check out the Central Memorial High School (CMHS) website – click here. 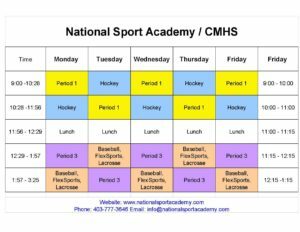 Since the year 2000, the National Sport Academy has been working with CMHS to provide flexible timetabling to allow student athletes to train during the school day. National Sport Academy student athletes are regular students in Central Memorial High School who have their National Sport Academy training during one of their four periods during the school day. They will take three other core classes or options in each of the first and second semester. During their NSA training and through CBe-learn the National Sport Academy student athletes use their National Sport Academy training as well as their club training to achieve the Phys Ed 10, 20 and 30 learning outcomes. National Sport Academy coaches monitor the student athlete’s progress in the CBe-learn Phys Ed course. The timetable / bell schedule allows time for National Sport Academy training without any impact on core academic classes. Does Central Memorial High School have to be my designated school in order for me to participate in the National Sport Academy program? No it doesn’t. 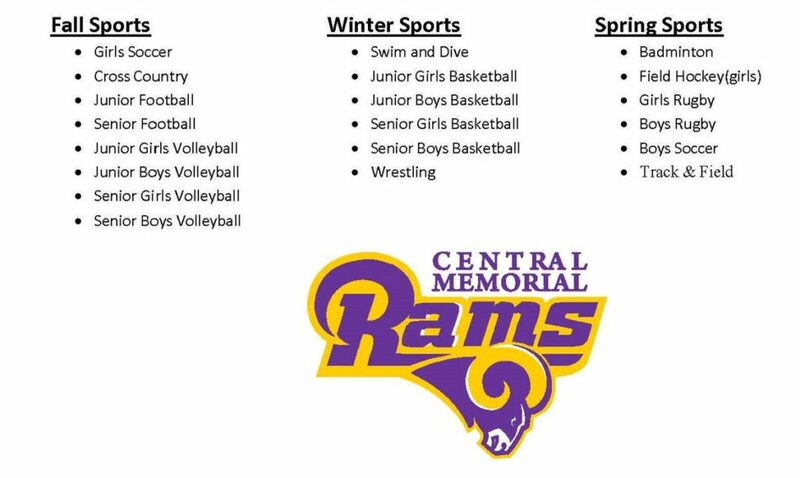 Over the years, many students have attended the National Sport Academy that do not have Central Memorial High School or the Calgary Board of Education as their designated school / school board. Student athletes have previously attended private, charter and Catholic schools as well as Rockyview and Foothills School District. Student athletes apply to the National Sport Academy, who review the application and make a recommendation to CMHS. CMHS then provides approval for the student to attend CMHS. The National Sport Academy and CMHS work together to ensure quality applicants are accepted. The National Sport Academy student athletes are integrated into the general population at Central Memorial High School and come together as a group in the appropriate period for their National Sport Academy training. Is transportation provided to Central Memorial High School in the morning and at the end of the school day? How do student athletes get from home and to and from Central Memorial High School? When student athletes begin their day at a National Sport Academy training facility, parents are responsible for their student athlete’s transportation to the training facility. When student athletes end their day at a National Sport Academy training facility, parents are responsible for their student athlete’s transportation home from the training facility. When student athletes train within the school timetable, transportation is provided if the training facility is not within walking distance. Are National Sport Academy student athletes attending CMHS able to participate on school sports teams?